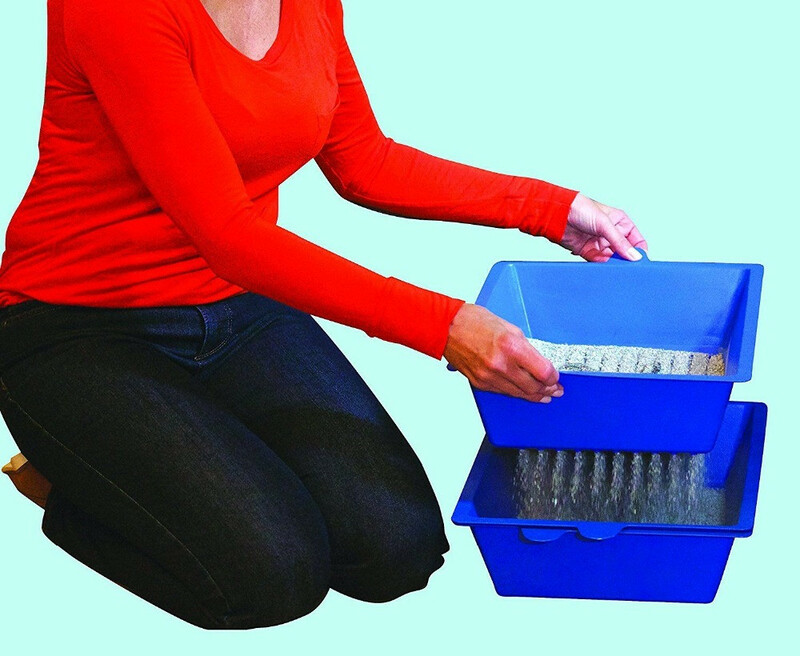 3 Tray Litter Sifting System. Slotted Trays Interlock to form a Solid Base. 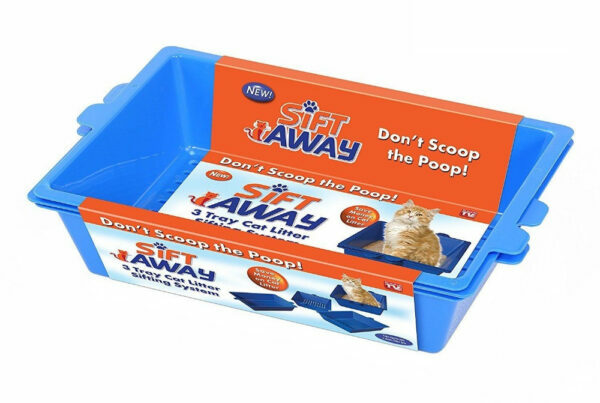 Cleans Litter in 3 Easy Steps. 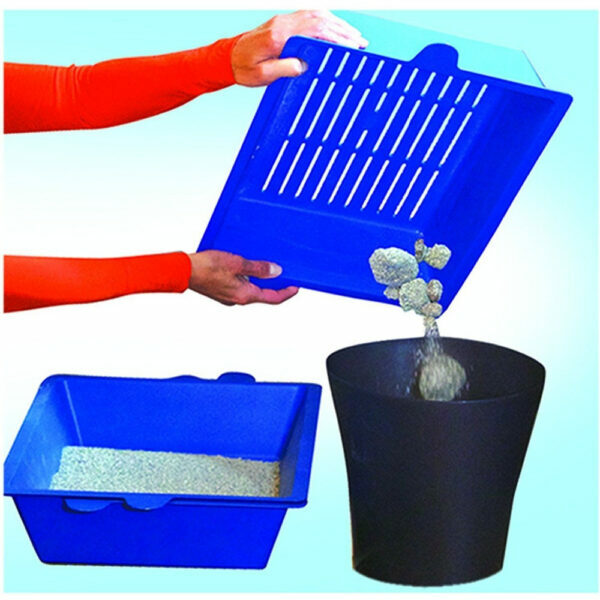 A hygienic alternative to traditional cat litter cleaning. With a 3 tray interlocking system, you can now keep your cat litter clean, the hygienic way. 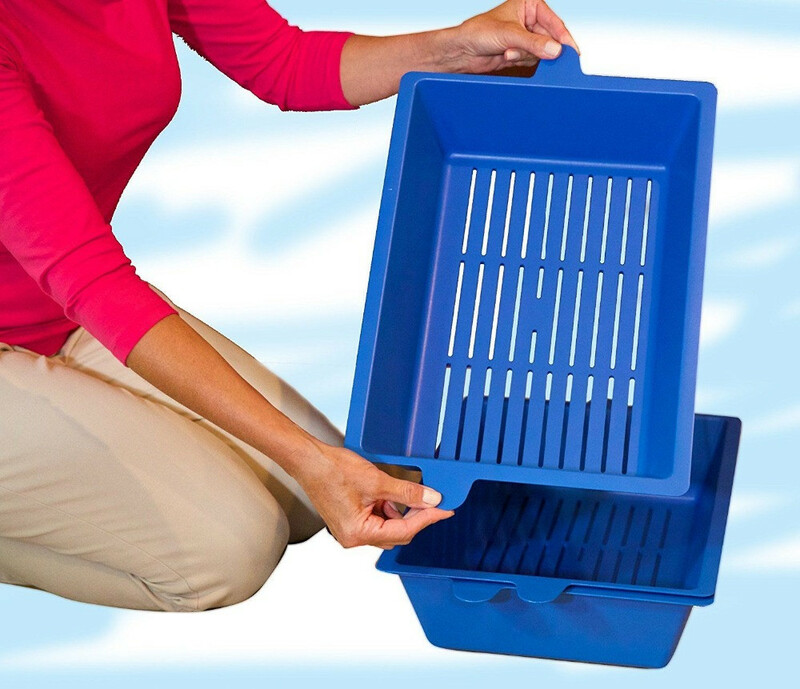 Simply lift the top tray to separate waste from clean litter and place the tray that has the clean litter on top. Keep the litter clean without the hassle. Can be washed and sterilized to keep the box clean and odor free. Very nice product. Good seller. Worth the value of my money, my cats are enjoying their new toilet place. Highly recommended product for cat lovers like me. I love this product, im sure my cats too. 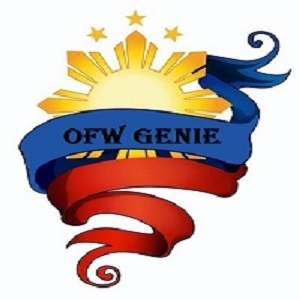 Very fast shipping and the seller is super responsive to my querries.